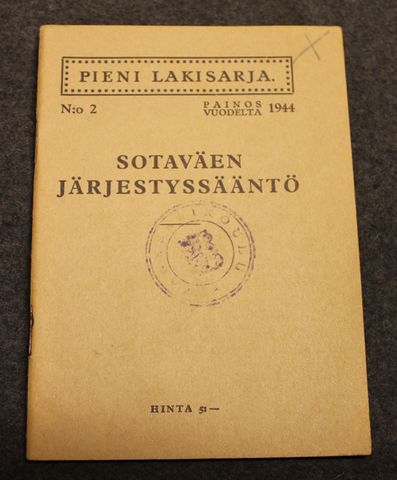 Original army manual, part of series of legal books. Nice condition, the official code of conduct, and the legislation, discipline and punishments of military law. Raufoss Ammunisjonsfabrikker Løpet, Raufoss ammunitionsfactory.